Give your photo prints new purpose and use them to create stylish place settings at the dinner table. 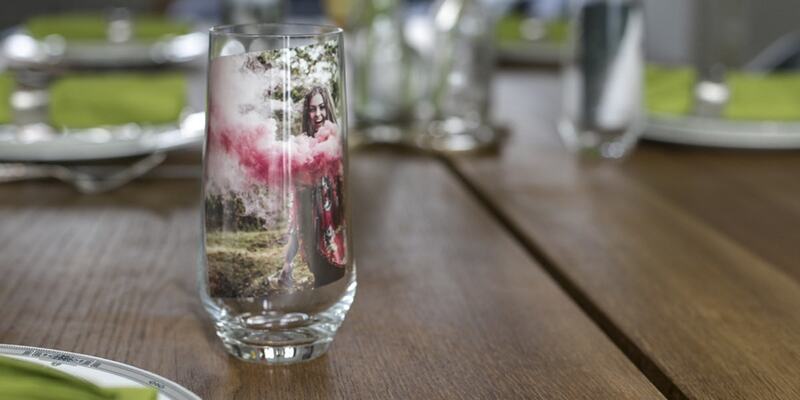 Use portraits of your friends and family and slip them into the glasses of each guest as a fun and personal way to create a seating plan. Use different sizes and formats and then add other props like plants and candles to give your table that extra wow factor. So there you have it. Print your photos now and use them to create a fun talking point at dinner parties. Do you have other ideas? What inventive uses have you found for your photo prints?